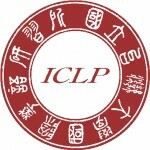 The International Chinese Language Program (ICLP), the world’s premier institution for the instruction of both modern and classical Chinese, was established in 1963 as the Inter-University Program for Chinese Language Studies (IUP). Since then, it has offered intensive language training to over 2,000 students from more than 20 countries. The International Chinese Language Program (ICLP), the world’s premier institution for the instruction of both modern and classical Chinese, was established in 1963 as the Inter-University Program for Chinese Language Studies (IUP). Since then, it has offered intensive language training to over 2,00 students from more than 20 countries.